The Scavenger Series incorporates two types of technologies. The Scavenger mufflers are a direct collector replacement that attach to the primary tubes of your header and help quiet the exhaust at high RPM’s. The patented Scavenger collectors and cross-over pipes incorporate large D shaped ports to help scavenge the exhaust gases for a cleaner and more efficient burn in the combustion chambers. 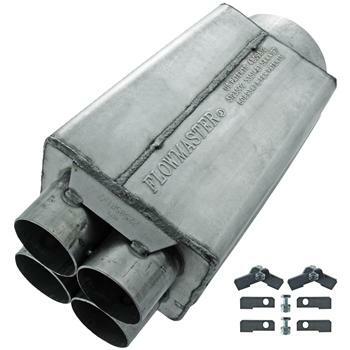 Please call the Flowmaster tech-line for assistance with specific decibel requirements and applications.